'Very funny and frank' Independent'Reads like Scrubs: The Blog ... funny and awful in equal measure' Observer* * * * * * *The bestselling real life story of a hapless junior doctor, based on his columns written anonymously for the Telegraph. IF YOU'RE GOING to be ill, it's best to avoid the first Wednesday in August. This is the day when junior doctors graduate to their first placements and begin to face having to put into practice what they have spent the last six years learning. 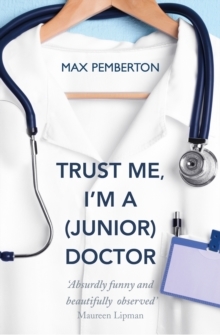 Starting on the evening before he begins work as a doctor, this book charts Max Pemberton's touching and funny journey through his first year in the NHS. Progressing from youthful idealism to frank bewilderment, Max realises how little his job is about 'saving people' and how much of his time is taken up by signing forms and trying to figure out all the important things no one has explained yet -- for example, the crucial question of how to tell whether someone is dead or not. Along the way, Max and his fellow fledgling doctors grapple with the complicated questions of life, love, mental health and how on earth to make time to do your laundry. All Creatures Great and Small meets Bridget Jones's Diary, this is a humorous and accessible peek into a world which you'd normally need a medical degree to witness. 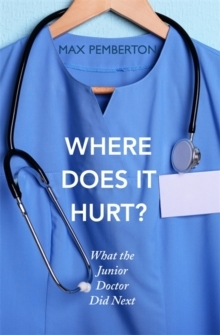 If you enjoy Trust Me, I'm a (Junior) Doctor, don't miss the follow-up titles Where Does It Hurt? 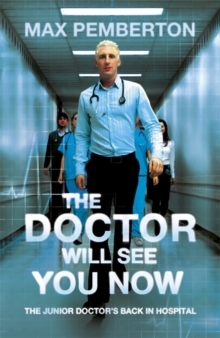 and The Doctor Will See You Now.